In Louisiana, a bright but bewildered teenager and his worried parents learn why he is growing more and more "clumsy" despite a rigorous exercise program. In Washington, D.C., a brilliant law school graduate takes the test that will tell her whether she will die the same hideous death as did her father. In an Amish community in Pennsylvania, "weak" families are riddled with depression and suicide despite their firm faith and stable society. In Utah, elaborate Mormon genealogical records prove a treasure trove for a scientist following a trail of deadly cancer from generation to generation. These are some of the human dramas that give impetus to the most exciting and momentous scientific exploration going on in medicine today: tracking the human gene map for the secrets that make each of us what we are. MAPPING OUR GENES tells the stories of people discovering that their fates are not in their hands but in their genes, and of scientists making mind-boggling progress toward gaining understanding and ultimately control over this determinant of human destiny. In these pages, too, are the conflicts and questions that the emerging breakthrough in our knowledge and power has engendered. We see scientists turning academic conferences into battlegrounds as they debate their findings and compete for recognition and rewards. 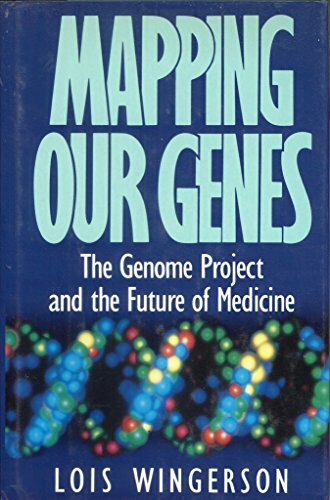 We hear experts who are brightly hopeful about using genetic mapping and engineering as weapons in the war against such incurable, genetically inherited maladies as Huntington chorea, Tourette's syndrome, and sickle-cell anemia. Others are profoundly concerned about the perils of tinkering with our genetic pool and of shifting attention from our external to our internal environment. 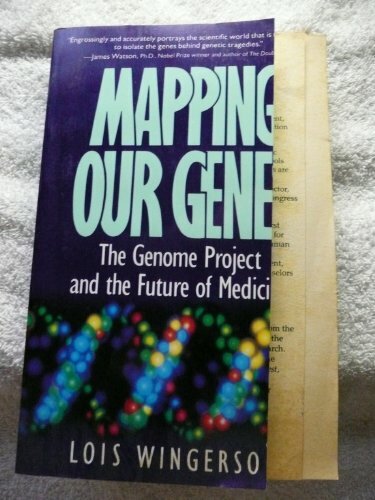 Eye-opening and mind-expanding, MAPPING OUR GENES joins the rare company of books that entertain as they enlighten. In so doing, it give fascinating human dimension to discoveries that will soon have a major impact on our world and our lives. Nowhere do ethics and science converge more dramatically than in the field of medical genetics. Basing her book on over 150 interviews with patients, physicians, and researchers, Wingerson presents case studies which describe the transmission and diffusion of hereditary diseases over generations. Scientists painstakingly track occurrences of the disease, then, back in the laboratory, employ rigorous techniques to attempt to isolate the gene that conveys the affliction. The grandest project in molecular biology today is the human genome project: a massive, government-funded program to map every gene in human DNA. The author writes in clear, conversational prose; technical concepts are easily understood. Recommended for public libraries.